Science education could bring new opportunities to developing countries. Giuliana Huerta-Mercado feels that she had a good school education in Lima, Peru. But shortly after arriving at the University of Michigan as a first-year economics student in 2015, she was startled by what she saw. Some of her US friends were already working on projects that involved robots or drones. “I was like, how do you know all these things? You haven’t even started doing engineering,” she says. The reason they were familiar with robotics,her classmates told her, was that they had gained experience with it at secondary school. Their education had been very different from her own, which was based on book learning but included little practical work. Her school held a science fair each year, which was more than many schools in Peru did, but the only thing she had built was a baking-soda volcano. So Huerta-Mercado got together with other students at Michigan, the University of California, Berkeley, and the Massachusetts Institute of Technology (MIT) in Cambridge, to found United Technology for Kids, a non-profit group established to provide students in Peru with exposure to science, technology, engineering and mathematics (STEM). For the past three years, students from the group have travelled to Peru to introduce younger students to these disciplines. Dozens of organizations around the world are delivering STEM education to people in developing countries, often at the behest of, and with financial support from, those countries’ governments, which see training in science and engineering as a way to bolster the economy. International institutions such as the World Bank and the United Nations Educational, Scientific and Cultural Organization (UNESCO) extol both the economic and the human-rights benefits of teaching STEM subjects to more people. And multinational corporations, eager to have a skilled local workforce where they would like to locate, are supporting such efforts. The challenges of introducing STEM education vary from country to country, but common problems include a lack of resources, resistance to changing the curriculum, and social inequality, especially for girls and young women. United Technology for Kids has sent 32 university students from the United States, many of whom have a Latin American background, to spend three weeks teaching schoolchildren in Peru the basics of topics such as electronics, robotics and biotechnology in after-school programmes. When the US students return home, local university students continue to run workshops for the next five months. The children work on projects connected to what they are learning at school. One group, at a school in an arid part of the Andes, built a drip-irrigation system to create a green area where kindergarten-aged children can play. Another used a 3D printer to create an affordable prosthesis for children missing a hand who need replacements as they grow. “We try to get the students thinking about things they can do to solve a problem that Peru has,” Huerta-Mercado says. So far, the scheme has reached about 1,000 students at 20 schools in Peru, as well as students in Medellín, Colombia. After taking part, 96% of the children said their interest in engineering had increased, and 26% said they had changed their career preference to a job in a STEM field. The programme fits the approach, generally championed by proponents of STEM education, of ‘active learning’, in which students learn a concept by making use of it, rather than by reading about it in a textbook. It asks them to identify problems and to work out a possible solution. At first, that was a tough sell to students who were accustomed to being told what they needed to know. “In Peru, students are not used to doing things on their own,” says Huerta-Mercado. They wanted step-by-step instructions on how to do everything. This is a common problem found in many countries that cling to a textbook-centric, exam-evaluated model of education. “They just wait as empty containers to be filled,” says Alan West, a STEM consultant and former chemistry teacher. 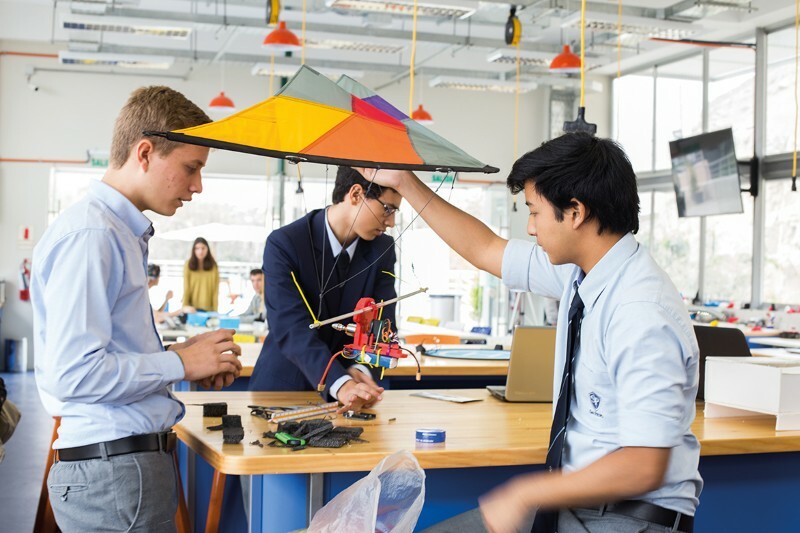 West’s company, Exscitec, based in Petersfield, UK, is developing a STEM curriculum for the Ministry of Education and Training in Vietnam, where the problem is entrenched. Teachers in the country, where every school is on the same page of the same textbook on any given day, feel that they must stick to the rules or face losing respect and authority. They are not comfortable with the free-form approach that is common in modern STEM education. West invited some teachers from Vietnam to visit UK schools to see how they had embedded STEM subjects in their curriculum. Three of the schools did not even issue textbooks, although they were available from the library. “That was quite a revelation for them,” West says. West is currently training teachers at schools around Hanoi. Local teachers and school administrators felt they lacked the authority to change the way in which students were taught, so the ministry issued orders that let them alter the curriculum. The idea is not only to show teachers how to incorporate STEM learning into their own classrooms, but also to train enough of them so that they can go on to train others. The emphasis on rote learning in developing countries might seem old-fashioned, but some of it is down to necessity, argues Fanuel Muindi, who founded the US STEM Advocacy Institute in Cambridge, a think tank that promotes STEM education. Hands-on learning is hard to do in a setting in which you lack resources, Muindi says. “Teachers are forced to say, ‘OK, we’re going to learn from the book’.” Access to resources is also a problem in Africa, he adds. Countries such as Kenya, Nigeria and South Africa do well with STEM education, but lower-income nations have a harder time. In nations with high rates of poverty and poor infrastructure, providing a basic education can be a struggle. It is hard to worry about adding STEM subjects to the curriculum when “people can’t even get to the classroom”, Muindi says. Those who hope to expand STEM education in developing countries tend to use ideas and teaching tools from higher-income nations but must adapt them to the needs of the local community. “Whatever STEM education is happening needs to happen in a local context and not copy what’s outside,” says Connie Chow, a biologist who founded The Exploratory in Boston, Massachusetts, an organization that has trained about 70 STEM teachers in Accra. She helps teachers to develop course units that focus on matters of interest in Ghana, such as agriculture and malaria. Local context can extend to language. Some schools in Vietnam teach in both English and Vietnamese, West says, and he has visited schools in Malaysia and Cambodia at which the teaching is done in English. In Ghana, where the official language is English and tests are given in English, the level of fluency varies and there are hundreds of dialects, Chow says. Most instruction in Peru is in Spanish, says Huerta-Mercado, but some students in rural areas speak the indigenous language Quechua. Michel DeGraff, a linguist at MIT who directs the MIT-Haiti Initiative, says that students learn best in the language with which they are most comfortable. “How can you expect a child, or any student for that matter, to become fluent in science or math if the language used to teach it is one the student doesn’t understand?” he asks. One hurdle the project faced was finding words in Kreyòl for certain scientific concepts. DeGraff and his colleagues often adapted terms from French or English, but sometimes they repurposed existing words. To translate the word ‘torque’, for instance, they used the Kreyòl word tòday, which is the motion of wringing out a wet cloth. In 2015, the government of Haiti announced a policy to educate students using Kreyòl, but DeGraff says it often fails to follow through on such promises. In other countries, teaching tools are available in a variety of languages. Some PhET modules have been translated into languages such as Afrikaans and Welsh. A major focus for people helping to improve STEM education in developing countries is making sure that it reaches girls as well as boys. A 2017 report1 by UNESCO found that, worldwide, only 35% of students enrolled in STEM courses in higher education are female, and only 28% of researchers are women. “For sustainable development, we need more scientists and more woman scientists,” says Alessandro Bello, a social scientist who leads UNESCO’s STEM and Gender Advancement project in Paris. “All the important jobs are going to be related to STEM.” Having enough people to fill those jobs will require women to be educated in STEM subjects. It is also a matter of human rights, he suggests: being educated in such subjects gives women access to the income and status that flows from jobs in STEM fields. Addressing the problem is difficult because there are few data that show which interventions are effective, says Ana Maria Muñoz-Boudet, a social scientist at the World Bank’s Poverty and Equity Global Practice. She and her colleagues looked at 2,000 papers published between 2000 and 2016 on STEM education for girls. Only about 250 discussed policies or interventions, and only 19 included rigorous reports on the outcomes of interventions2. Most were from the United States or Europe, not developing countries. “We don’t know what is working and what is not,” she says. But providing girls with female role models is likely to encourage them into science careers. A 2013 survey3 by researchers at Florida Gulf Coast University in Fort Myers found that girls who attended STEM workshops led by women reported an increased interest in those fields. And a 2018 survey4 by Microsoft of more than 11,000 girls and women in 12 European countries found that 41% of girls who had such role models, whether real or fictional, were interested in STEM subjects, compared with only 26% of girls who lacked such role models. The emphasis on STEM education by governments in developing countries comes from the idea that creating a workforce with technical skills will make such countries more attractive to multinational corporations looking for places to locate offices and factories. Companies from Japan, South Korea and Singapore are now investing heavily in Vietnam. Chow’s group receives funding not only from Ghana-based companies, but also from the High Commission of Australia because Australia is involved in mining in West Africa. Multinational corporations “want to use STEM education as a way of growing local talent”, says West. 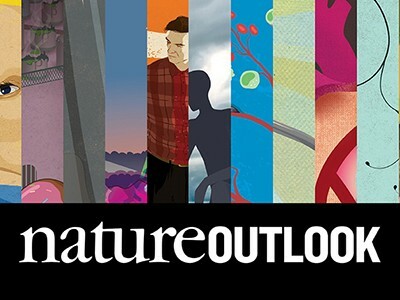 This article is part of Nature Outlook: Science and technology education, an editorially independent supplement produced with the financial support of third parties. About this content. Correction 13 November 2018: A earlier version of this article cited the wrong value for the number of STEM teachers in Accra who have been trained by The Exploratory. UNESCO. 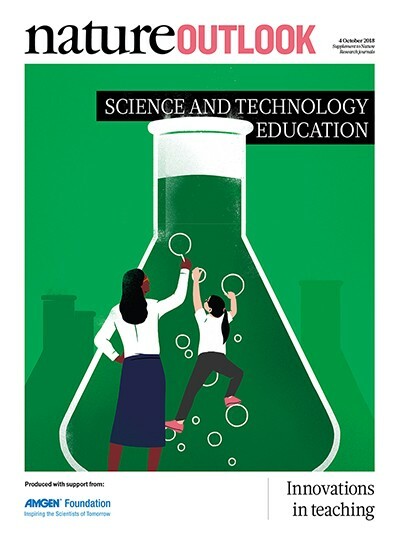 Cracking the Code: Girls and Women’s Education in Science, Technology, Engineering and Mathematics (STEM) (UNESCO, 2017). Dubetz, T. & Wilson, J. A. J. STEM Educ. 14, 41–47 (2013). Microsoft & KRC Research. How Role Models Are Changing the Face of STEM in Europe (Microsoft, 2018).